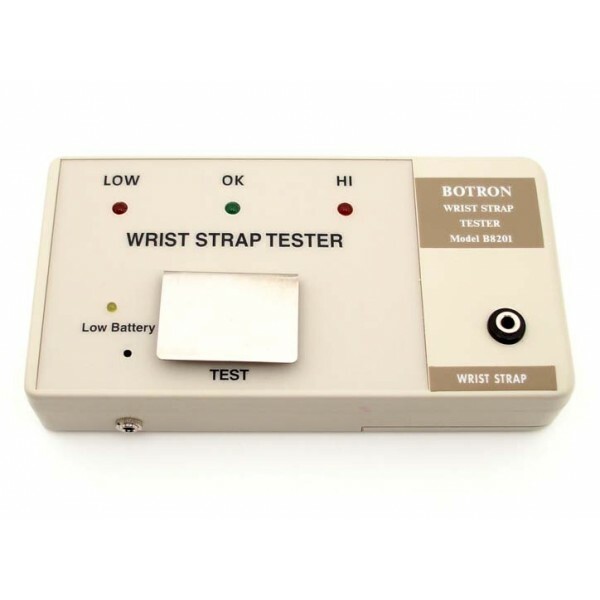 Botron’s B8201 Lightweight Portable Wrist Strap tester has a large touch plate for easy testing and easy to read LEDs that show low, high and pass. Audible alarm will sound when failing. Works on all standard wrist straps and coil cords. Test ranges from 800k-9megohms.